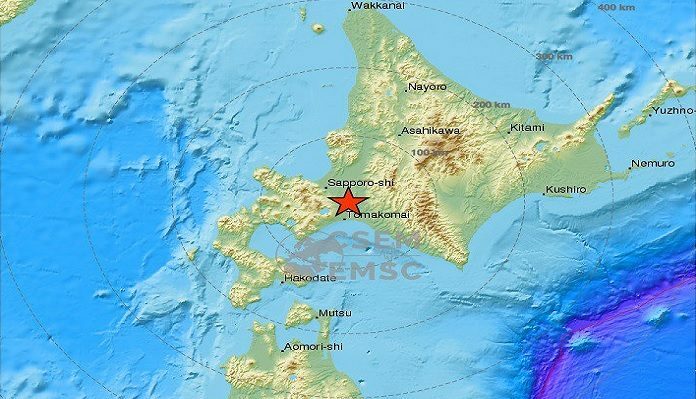 A powerful magnitude 6.7 earthquake struck southeast of Sapporo, Japan, at a depth of 66 kilometres, the U.S. Geological Survey (USGS) reported on Wednesday. The earthquake did not prompt a tsunami warning, according to the USGS. The monitoring body had initially reported the earthquake had a magnitude of 7 and later revised it to 6.7. Internet users reported a power outage on the northern Japanese island of Hokkaido where Sapporo is located, but damage appeared to be limited. “We are merely inconvenienced here,” one Twitter user in Sapporo reported. Nearly two million people live in Sapporo. The earthquake came just hours after areas in southern Japan were hit by Typhoon Jebi.